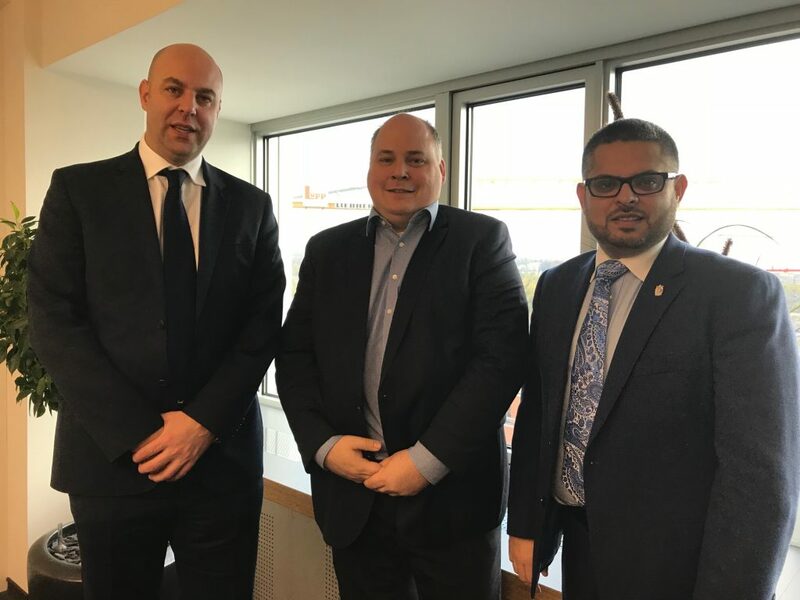 Councillor Waseem Zaffar, Cabinet Member for Transport and Sustainability, and Philip Edwards, Assistant Director Transportation and Connectivity, visited Frankfurt on 24 October to work on new strategies to improve Birmingham’s sustainable transport infrastructure. The study visit included meetings with the Frankfurt’s Economic Development GmbH, the Office of Transportation, and VGF, Frankfurt’s public transport company. Our partner city Frankfurt provided the delegates with valuable good practice examples on alternative transport models, including electro mobility, and gave input on Birmingham’s strategic plan to tackle air pollution and to deliver against emission targets. As the City is about to introduce a Clean Air Zone in Birmingham city centre, Birmingham City Council is working to make its public transport provision a viable alternative to car transport. This includes gathering ideas on cycle infrastructure, public transport interchanges, pedestrian areas, bus rapid transit operations, and the latest developments in new fuel technology. The knowledge exchange will enable Birmingham to improve its (public) transport system, and to actively respond to challenges regarding air quality and other pressing environmental matters. Ansgar Roese, Director Center of Logistics and Mobility, Frankfurt Economic Development GmbH, meeting Cllr Zaffar and Phil Edwards to discuss the development of a strategic plan for electro mobility.